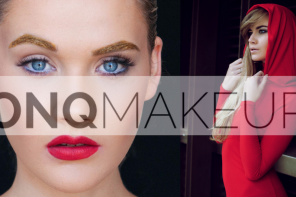 GET YOUR MAKEUP DONE LIKE A PRO WITH OnQMAKEUP! 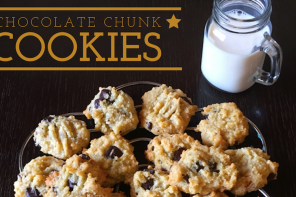 CHOCOLATE CHUNK COOKIES ANYONE ? Fazar was inadvertently introduced to design decades ago when Ridwan Suder’s great grandmother picked up her first needle and thread, and over all this time, it’s a skill that was developed and passed on from generation to generation. Now, Fazar being a family business, the founding members decided to collaborate, utilising the skills they possessed amongst them, to create a brand that encompassed their vision. Ridwan Suder, the Designer behind the label Fazar Couture shares his design story with us here. In a country where mental and physical abuse is rife, Fazar Couture hopes to stand resolute in the ideology of empowerment, inspiring people today, to take back what was lost yesterday so that they can progress in the future, all by means of inspiring confidence through creative fashion design. “During my early years at school I really wanted to become a rocket scientist only to realize after flunking math consistently that perhaps a career with the absence of mathematical equations would be a more preferable option and so I decided to focus my attention on something I knew I was better at, and that was designing. 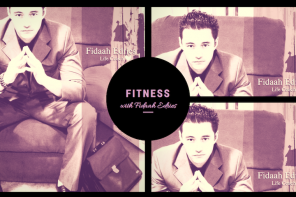 Even after all this time, I still thought rather fondly of what could’ve been had I studied psychology and so I decided that when creating Fazar, fashion psychology would play a huge role in terms of the companies brand culture. This balanced infusion of creativity and psychology has helped us to understand the needs of our clients and connect with them on a very real level. “We live in an age of fashion that expects people to be unique and what better way to express this than to be yourself using fashion as a form of creative expression. We at Fazar offer a unique, interactive experience in which the client plays a role in the design process by collaborating with the designers. The idea is to create a connection between the client and designer by indoctrinating them within the culture of the brand. “Fazar acknowledges the vast spectrum of fashion design globally based on cultural, trending or seasonal fashion motives and has diversified and expanded upon their clothing ranges and services offered. Opulent by nature, the black and gold couture gown from Fazar is a stunning 360 degree showstopper that was exquisitely crafted with hand stitched applique applied to the gown. It features a low cut back that includes straps and is designed from a textile called scuba, used for a number of years in high street fashion. It promotes comfortability through its soft, stretchable properties. STYLE AFRICA WAS CREATED TO SHOWCASE THE IDENTITY OF THE AFRICAN DESIGN INDUSTRY. Style Africa has adopted the new generation of technologically savvy stylish South Africans who want to be informed, inspired, shop and socialise. As a company by Africans, for Africans, Style Africa aims to showcase the vast pool of talent within Africa - from established, well-known designers, to up-and-coming young talents. Not only do we feature Creatives from within the design and textile sphere, but also local artists from the music, tv and film industries. The team behind Style Africa is a diverse group of South Africans with a wide range of experience and expertise that encompasses TV, radio, magazines, advertising, marketing, design, e-commerce, production, graphics, photography, styling etc - all of which is reflected in the content that we produce. Style Africa's content is geared towards the aspirational and established South African seeking style and beauty in an authentically African nature. With diversity at its core, Style Africa showcases fashion from the multitude of cultures, ethnicities and traditions that make our continent so uniquely inspiring. With the various modes of communication, Style Africa hopes to create an interactive relationship with our readers, while at the same time assisting in the development and promotion of African designers and their craft.